A collaborative divorce is different from mediation in that in a collaborative divorce you are working with a team of professionals in order to come up with a solution. Each party is represented by counsel. In mediation, more likely than not, the parties work alone with the mediator. The lawyers are either available for counsel or nonexistent altogether. Attorneys most often come into the process at the end to review agreements or to give advice outside of the mediation arena. A mediator cannot give legal advice. Their role is just to facilitate negotiation. The parties are really in control of making their own settlement. 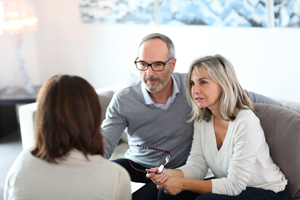 In a collaborative divorce, they have the support of the team, they are given legal advice during the process, and everyone works collaboratively to come up with a resolution that works for both parties. The Salvo Law Firm, P.C. serves New Jersey with quality legal services regarding divorce and family law. If you need effective representation and compassionate counsel, contact our law firm for a consultation.